So far, Microsoft has not revealed even the tentative pricing of its two upcoming tablets, Surface for Windows 8 Pro and Windows RT, or those of its OEM partners’ offerings. Now however, Lenovo’s David Schmook, in an interview with news agency Bloomberg, let slip the expected price range of the two versions of Windows 8 tablets, with the x86-based Pro editions expected to be between $600 and $700, and the ARM-based RT editions expected to be $200 to $300 less, putting them between $300 and $500. However, previous reports speculated that Windows RT tablets would be introduced at roughly $200. While that price might actually be a little too good to be true, we can expect that Microsoft and its OEM partners would be pricing them very aggressively, trying to capture the market from the bottom up, taking on budget Android tablets (including the $249 Nexus 7) and older generation iPad tablets at the same time. "It’s going to require a very strong first couple of weeks of launch of Win 8. They'll be a lot bigger than they are now, but I don't know if it will get all the way up to 40 percent." 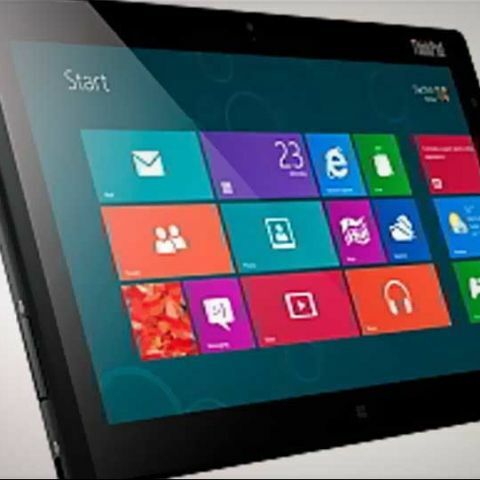 Lenovo showed off its first x86, Windows 8 Pro-based tablet earlier this month, with the Lenovo ThinkPad 2 Tablet, and later, sparked off rumours about a Windows RT version of the IdeaPad Yoga convertible laptop-tablet. i want to develop apps for Windows 8.1 Tablet. please tell me how to start for it? What is the best tab pricing under 10K which is good at performance?